What is order to show cause? What Does a Personal Injury Lawyer Help With? Some injury lawyers help people with catastrophic injuries. Injury lawyers that are experienced in representing catastrophic injuries include things such as brain injuries, spinal cord injuries, eye injuries, neurological disorders, severe burns, accidental amputation, and multiple fractures. Victims of catastrophic injuries may suffer from a loss of movement or sensation. They may lose their ability to communicate or have impaired cognitive abilities. The catastrophic injury may adversely impact the victim's respiration or circulation. Other body systems such as the gastrointestinal system and the urinary system may also be negatively affected by these injuries. Have you been injured due to someone else's negligence?, Contact a Personal Injury Lawyer Today ! Get professional help, consult with a local experienced Personal Injury Lawyer to discuss your case. The sooner, the better. Managing catastrophic injuries can be complicated and require the assistance of a multitude of healthcare professionals. Victims may require the services of healthcare professionals such as physicians, nurses, counselors, and therapists. The long-term costs of injury services such as these can be astronomical, and most victims are not financially prepared to meet these expenses. A catastrophic injuries lawyer can help victims ensure they receive the monetary damages they deserve. You must read this if you have an injury from a slip and fall. First off, if you have fallen, slipped or tripped in any type of public or commercial place it is very important to file an injury or accident report. If you have not try to do so immediately while the injury event is fresh in your mind and others. Call the location where your injury happened and talk to a manager to file an injury report have the manager send you a copy of the report. If it was a shopping mall, major store or restaurant, make sure to go back and talk to the manager if you can or a staff on duty to get a detailed incident report recorded and a copy for future claim to show to your lawyer. Were you or a loved one injured in a slip and fall accident? 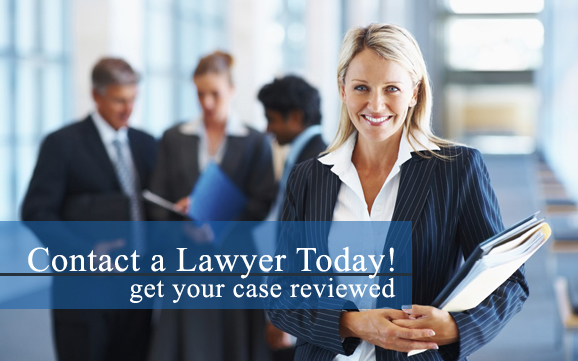 Contact a personal injury lawyer today! To better understand the importance of criminal defense and its vital role in the criminal justice system, a criminal defense overview may be helpful. According to the 5th Amendment to the U.S. Constitution, "...it is unlawful for an individual to be deprived of life, liberty or property without due process of law...." The 14th Amendment to the U.S. Constitution further emphasizes this point, and adds that states cannot "deny any person within its jurisdiction the equal protection of the laws." Have you been charged with a Criminal Offense?, Contact a Criminal Defense Lawyer Today ! Get professional help, consult with a local experienced Criminal Defense Lawyer to discuss your case. The sooner, the better.